Salsa Fiesta is a medium hot salsa prepared from diced tomatoes, Jalapeño chili peppers, tomato puree, onions and typical salsa flavorings. 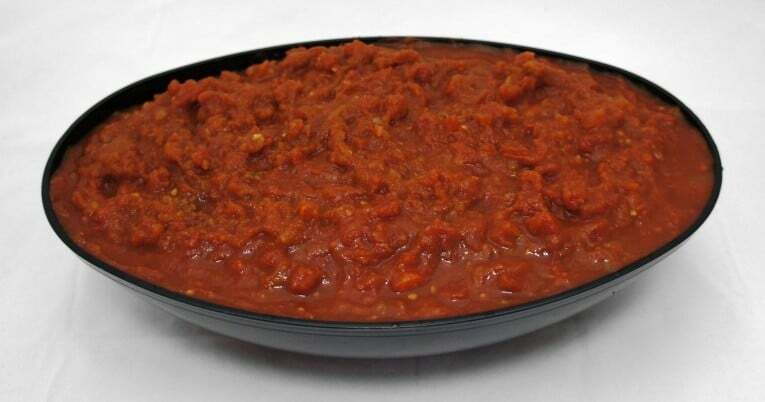 The combination of heavy puree, diced tomatoes and chili peppers gives the item a very chunky and rich appearance. It has a bright red color with many pieces of green Jalapeño chili peppers mixed in for style. This salsa is suitable for use directly from the container. No additional ingredients or modifications are required. The product is hot filled to ensure commercial sterility then cooled prior to stacking.